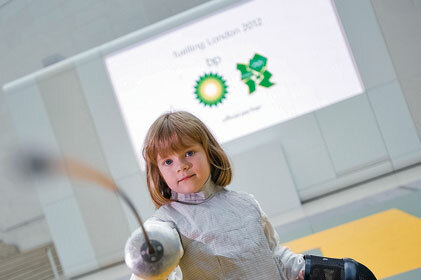 Oil firm looks to highlight role as 'premier partner' of London 2012 Cultural Olympiad. BP is in talks with a number of PR agencies as the embattled energy firm seeks to promote its London 2012 Olympic partnerships. As well as providing fuelling facilities for the vehicles used during the Games via its status as official oil and gas partner, BP is acting as a 'premier partner' of the London 2012 Cultural Olympiad. Alongside BP, London 2012 has six other top-tier partners including Lloyds TSB, EDF Energy, Adidas, British Airways, BT and BMW. BP confirmed it was in discussions with agencies to support the Olympic activity but refused to provide further details. 'We are talking to lots of people about lots of different things in connection with BP and its support for London 2012,' said a BP spokeswoman. In December 2010, following the environmental havoc wreaked by the BP oil platform disaster in the Gulf of Mexico last year, BP turned to Bell Pottinger to help it move away from its image as purely an oil company. This week, an industry source close to the pitch suggested that the firm would also use its Olympic partnerships 'as part of a brand recovery process'. A number of major UK agencies are understood to have been approached by BP, but some of the biggest names are unlikely to take part because of conflicts of interest with existing clients. These include Weber Shandwick and Burson-Marsteller, which have wide-ranging accounts with oil firms Exxon and Shell respectively. Both agencies declined to comment. BP will provide advanced fuels and lubricants for the 4,700 official Games vehicles, along with vehicle washing facilities and liquefied petroleum gas for the catering needs of the event. The energy firm will support the Cultural Olympiad, a four-year programme of cultural projects that reaches across the UK.